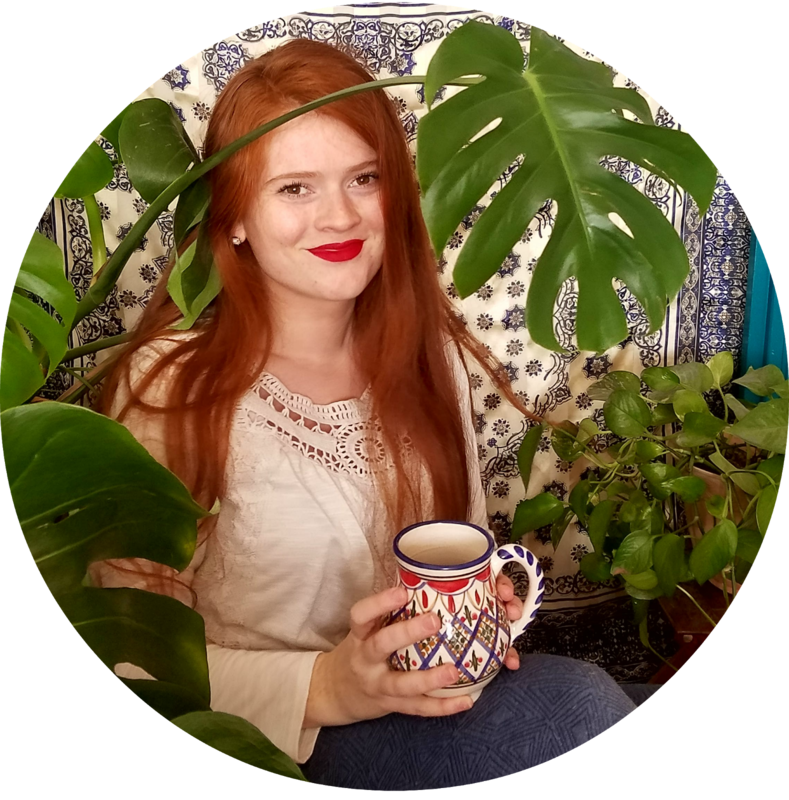 Today I'm popping in with one of those nitty gritty posts that have a better looking after but it's far from pretty but what I learned may help someone else so I'm sharing for the love of everyone being capable of doing things to their home to make it a space they want to be in. That was probably a run on sentence. 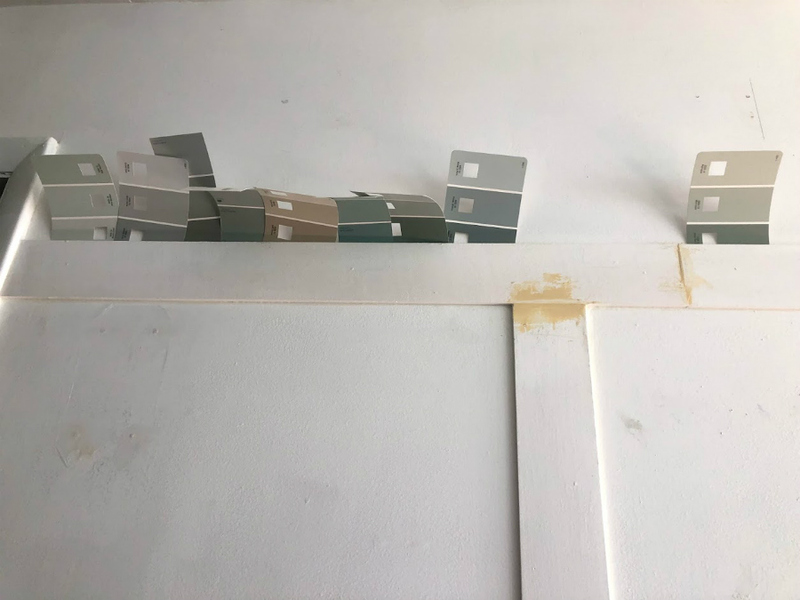 If you have a sliding doors enclosing your bathtub and want to remove them, I'm going to walk you through how we removed ours (Unfortunately I can't say for any certainty that mine were installed like yours and different models may have differences in the deconstruction process). We have 1 single freaking bathroom in our home. We aimed to buy a house that we could afford in the event one of us lost our job and that meant making sacrifices like 2nd bathrooms and square footage. 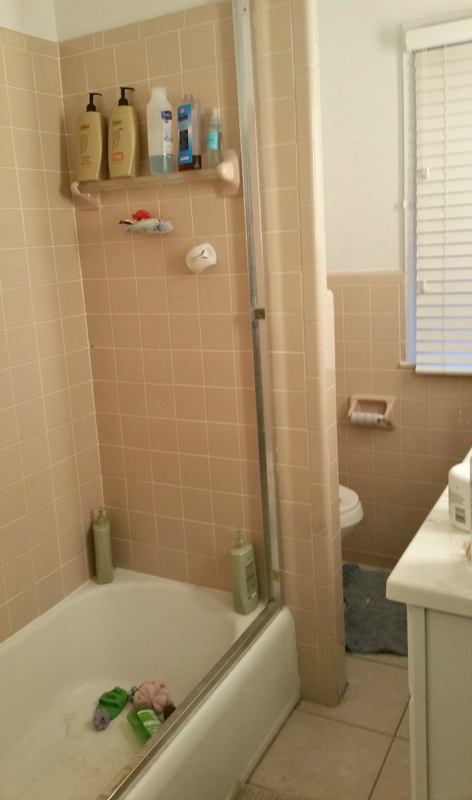 We hope to one day have the funds to add onto the house and in that addition a second bathroom, but for now we are renovating the existing bathroom to be our "dream on a budget bathroom." One of the first things we did, even before the full blown renovation, was remove the shower doors. They were obviously harboring mold and they're a pain to keep clean. I prefer the ease of use and interchangeability of shower curtains. These doors had to come down. So I mentioned to my dad that I was removing them and was running into a few issues figuring out how they came apart and my dad is awesome so he came over to help out. The doors were easy. Ours hung from wheels on a track from the top. So we just lifted those right off and hauled them off to live in our garage for a few years. Then the top piece lifted right off the sides. And this was where I was a bit stuck. The sides were screwed into the tile. But when I took the screws out, the sides didn't budge. And I didn't fully expect them to since I could see an adhesive oozed out from the sides in a few spots. So with the direction of my dad, we took putty knives and worked it behind the sides. And it was a simple matter of prying and working the putty knife further down the frame. The pieces were not salvageable because they were quite flimsy and bent with the slightest tug against the wall. Once the sides were off, we started to see just how much mold these doors were harboring. I cannot recommend sliding shower doors after seeing what was growing after living in the house for just 2 years (the bathroom was "remodeled" just before we moved in). We have a great exhaust fan and use it every time we shower. And then it became abundantly clear what kind of situation we were living with. Things. Were. Gross. I will forever be a fan of shower curtains. So all in all, I would have to say you shouldn't ever install them. And if you have them, grab a screwdriver and a putty knife and get that thing out. Oooh, this is one of the first things we did when we moved into our house. 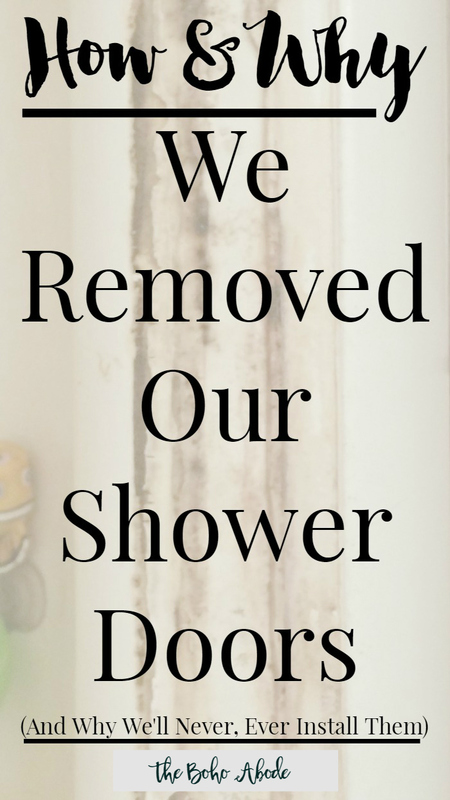 I agree completely - no more shower doors after we saw the horrors underneath! Lordy, We took out the door in the last home we had but never took out the metal edges, I wish we had now. After seeing this I think it might be a good idea to take down the door and hardware in my hubby's shower, maybe this is where a lot of his allergy trouble is coming from! Thanks for showing this grossness!!!! Hi I'm wondering how the tile underneath held up. Was the putty easy to remove once the hardware was all off? Did you fill in the holes from the screws or replace tile alltogether? I just bought a condo with doors on the shower and this is the first project. I just want to know if I need to plan for any additional supplies. Thanks!! It was perfectly unscathed. We filled in the holes initially but went in a few months later and did a whole bathroom renovation and the tile was replaced. Thanks for asking! 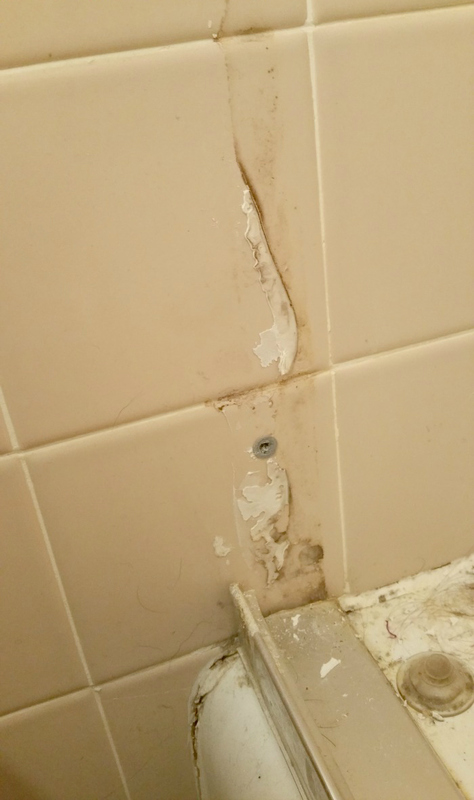 This is not a reason to remove shower doors as much as a demonstration of why to use caulk on the edges of the doors, as a proper installation would have. Haha! This IS the first post of yours I've read but I think it's great. I'm a super germ-aphobe after working in a path lab for several years so this is right up my alley and even more motivating to go Clorox some things around the house today! Thanks for sharing. ? We removed ours when the shower door crashed down into tiny bits over our 6 year old. I wish I could post a picture of it. Tiny shards of glass were everywhere. In their hair, the shower floor and stuck in their feet and legs. It was a nightmare! After it happened I researched it and it appeared to be a pretty common issue. We have a 1 piece shower bath surround. We removed the doors and frame as well. We filled the screw holes with white bathroom caulk. It worked out great! Yes! This is exactly what we did. Thank you for reporting that it's worked out for you so others will know. What!? this is terrifying! Another fantastic point! Me, too! Ugh, that is too gross to think about. I'm glad they obliged. Mold causes so many health problems, I'm thankful it's been done so we don't have to worry anymore. 30 year old remodel of our,1893,built home. first bathroom that I put in it. 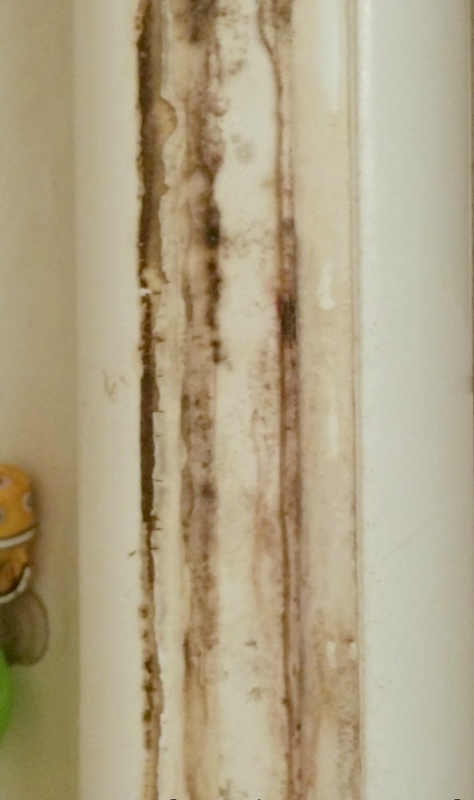 Mold in the bathroom is something you,have to deal with in the south. maintaining your shower is a,every day thing.,replacing your,calking,regularly is important. I only called the inside edge of the shower frame. in 30 years I never had the problem that you al did. But I built it and I maintained it. my biggest problem was film on,the glass doors from,hard water. the little self cleaners took care of that. i,think some of these problems were from the previous owners or renters. my was fine when I sold it 5 years ago. I bought a rental,home that I knew had problems. tub,falling through,floor outer wall with rote studs. and bad plumbing inside and out. replaced,tub,with,60" shower. no,doors yet, but it,will,have them when. I get around to it. sewer line replacement . water line replacement. central actually and heat replacement and so on... I am 62 and have to pay,to have somethings done now. it was different at 35.
be diligent on home maintenance and don't let things get,started. if you can afford to, don't buy a poorly maintained rent house. don't buy a Bob villa this old house home. I would punch him in,the nose if I could lol. No disrespect, but I don't believe you are properly informed. Water IS water, and caulk is caulk, Silicone caulk RESISTS and keeps water out, when properly applied, There is a bead of caulk around your tub, between the tub and the tile, to keep water from getting in, and to keep mold from growing behind the tile.. Aquariums are sealed with a type of silicone caulk. I am not a huge fan of framed shower doors in bathtubs, because most of them are ugly. But taking them out leaves holes in your tile, which is also ugly. I used to work in a place that sells these things, so I do have some knowledge in this area. Thinking of installing something like this? There are frameless glass doors on hinges that are quite lovely. P.S. I did read your blog post, and looked at the photos. 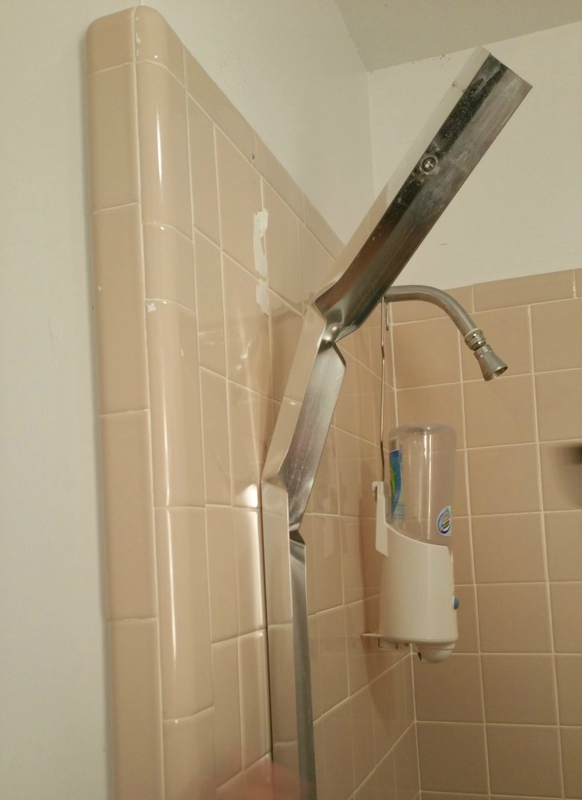 Your shower door installation does not appear to have been caulked. I see there was something behind it, but the installer should have run it along the sides after installation, to keep that moldy mess from happening. It IS disrespectful the way you've responded. It's not possible to caulk every single crevice with these framed sliding doors. 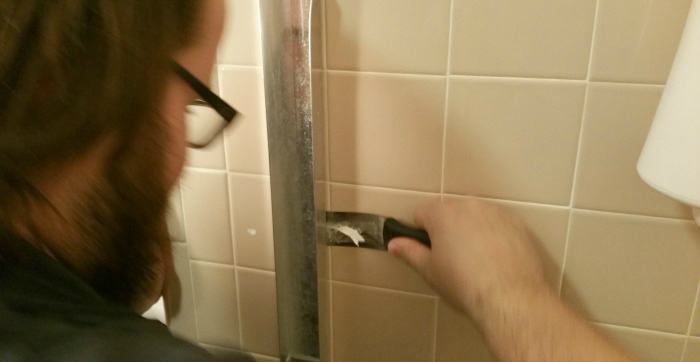 It's not one single piece that slides in and then you caulk the edges. There are inner joints, there's the tracks, there are a million little spaces for water to get into and I know this because I took it out. You can't caulk all of that off. As I mentioned in another comment, the frame less doors would avoid this if you have the space for doors that swing. Our home is small, like most, and the vanity is 2 feet from the tub. There's no room for swinging doors. Shower curtains are safe because they're washable and inexpensive to replace. Don't encourage people to risk mold growth. It's very bad for everyone's health! We have lived in our house for three years now and I have been complaining about our shower doors from day one. We are removing them because one of the doors came off the track and fell on my 3 year old sons foot. We had to rush him to the Dr and have x-rays done because we thought it had broken the bones on the top of his foot. He has also slipped and busted his eye on the bottom track and slipped and racked himself trying to climb out. I am constantly spraying them down with bleach trying to kill the visible mold. God knows what's under the tracks. Needless to say I am over the moon to get the shower doors out of our bathroom. Most shower curtains are also extremely unhealthy. 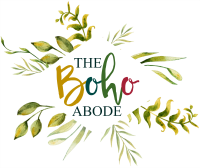 The plastics and mold resistant chemicals used in those have been known to have immediate and damaging respiratory effects. I.e. : cancer, asthma. At the end of the day those cheap, disposable curtains are just as dangerous and also harbor quite a bit of mold themselves. Thank goodness mine are frameless, gave me the willies just looking at this! ughhh!!! My husband insisted on sliders in thr 1nd bath. No mold problems as yet but he has passed away and the shower gets used once or twice a month. The hrs. spent cleaning are awsome and I am considering taking them out. I really hate, hate sliding glass doors. I'm so sorry to hear that. I found the job to be really easy between my dad and I. Hopefully you can rid yourself of them soon! Great post; my thoughts exactly. I've been wanting (desperately) to remove my shower doors also, but it's an actual shower stall, not a bathtub. I haven't tackled it yet because the bottom is just a 3" deep floor tray and I'm afraid of flooding the bathroom every time we take a shower. I'm trying to come up with a creative way to maybe weight the shower curtain (I'm going to make one out of the stuff you see in hotels) so it won't budge, but I don't have much faith in that 3" lip. Any ideas? My mom has the same situation! Try looking for extra long liners and curtains. She buys liners that are a water resistant fabric instead of the light plastic ones. Since they're heavier they hold tight and don't blow out of the shower so easily. I have a rental with a shower like this. As ling as your draining okay, it's fine. Tje problem with water getting everywhere isn't in the showering - it happens if you don't move the curtain/liner carefully to the side getting in/out - the curtain ends up outside the tray and sends water puddling to the floor. We just have to be vigilant about ensuring the curtains stay inside the tray. Having microfiber mats to trap accidental watergetting out helps prevent flooding the bathroom floor, as well as seamless linoleum so there's no cracks in the flooring for water to seep under. The microfiber mats ansorb tons of water & dry pretty quickly. A waterproof fabric curtain will be better then a vinyl or plastic curtain as long as the bottom is sufficiently weighted. For some reason its the vinyl curtain that keeps wanting to jump out of the tray. I am a neat freak but I love shower doors for teenagers because they seem to always splash water outside of tubs without the doors. I do hate the look of sliding doors but they do the job! I add 2 rods. One has a shower liner to keep as much water as possible off the doors. The other holds a pretty shower curtain to cover the ugly doors. Problem solved! No water is escaping and no mold. Replace shower liners at least once a year. Hi Laura, agree completely. Just removed our well caulked sliding glass framed doors in an outdoor pool house and there was no signs of mold. They have been replaced with frameless glass doors which are beautiful and much healthier than Chinese moldy shower curtains!